Shower Check Valve 15mm x 1/2"
Maximum working pressure of 16 bar. Install between shower head and hose to prevent back flow of contaminated water. 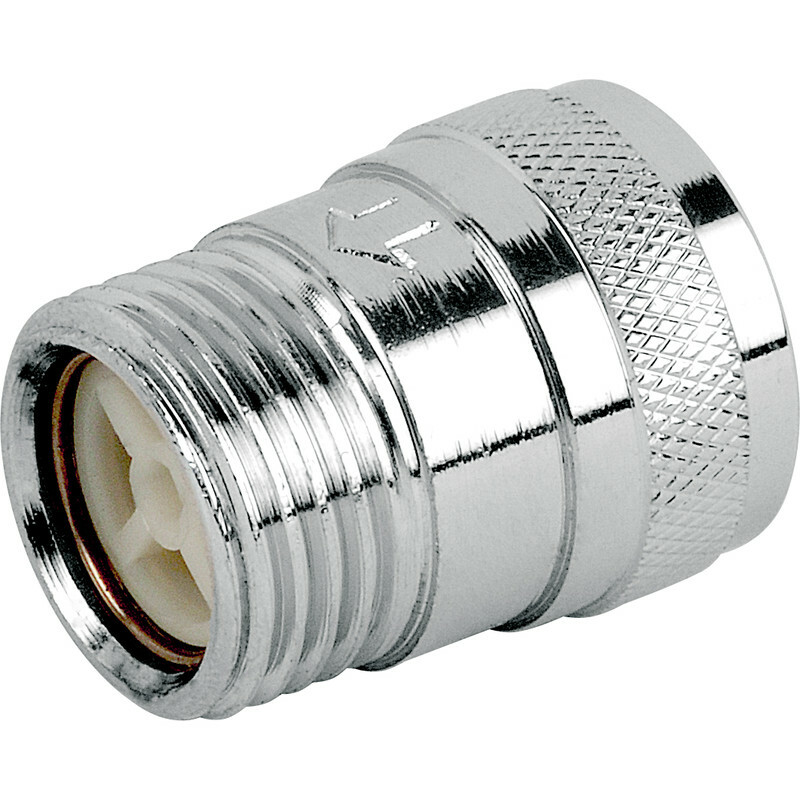 Shower Check Valve 15mm x 1/2" is rated 4.4 out of 5 by 5. Rated 5 out of 5 by tryanythingonce from Just what I wanted ! Many hardware shops and "specialist" shops looked at me blankly when I asked to buy one,well made GREAT !! Rated 5 out of 5 by Anonymous from Good Cheap and comes with washers, fits as expected.